This project will analyze nearly 83,378 acres to decide whether or not to consent to lease, an if so, what lease stipulations are necessary to minimize impacts to other resources and comply with law, regulation, policy and Forest Plan Direction. This project is located northeast of Sedro-Woolley, WA, in Whatcom and Skagit Counties in various watersheds within the Nooksack River and Skagit River Sub-basins. The Forest Service is scoping for issues related to the proposal that the environmental analysis should address. Your input will be used to analyze the effects of the proposed action, develop alternatives, or focus the scope and extent of the analysis, so please keep them as specific as possible. Your comments would be most useful if received on or before November 28, 2014. The Green World Rising campaign represents a call to save the human race from the devastating effects of global warming and climate change. The third video in a four-part series has been released, titled Green World Rising. Narrated by Leonardo DiCaprio, the video focuses heavily on some of the new solar, wind, and geothermal industries that are at the forefront of creating a greener world for all of us. The threat of climate change is very real, but we have the solutions, knowledge, and ingenuity needed to help save our planet, and Green World Rising talks about how we can put those solutions and that knowledge into action right now. Coso Geothermal Power Holdings, LLC announced today that the company’s approximately $15.2 million letter of credit issued to support performance security obligations under the company’s power purchase agreements with Southern California Edison has been replaced by a $15.2 million letter of credit issued by Citibank, N.A. The new letter of credit will expire on October 20, 2015. On July 31, 2014, CoBank ACB disclosed that it would not renew or extend the outstanding Coso letters of credit. These letters of credit consist of a power purchase agreement letter of credit, which is being replaced by the Citibank, N.A. letter of credit described above, and a debt service reserve letter of credit, which is not being replaced. Under the terms of that debt service reserve letter of credit, the remaining amount available (approximately $27.6MM) can be drawn at any time during the 15-day period prior to its expiration on December 1, 2014. The company expects that the final drawing of the entire amount remaining available will be made in mid-November 2014 with the proceeds deposited in a debt service reserve account. Coso Geothermal Power Holdings, LLC leases and operates three interlinked geothermal power plants located in Inyo County, CA, with installed nameplate capacity of 302 megawatts. Cornwall Council with support from other local authorities is hosting the first Deep Geothermal Local Authority event organised by energyshare. The free event will bring together industry experts, government departments and decision makers to discuss Geothermal potential, opportunities, challenges and working together. 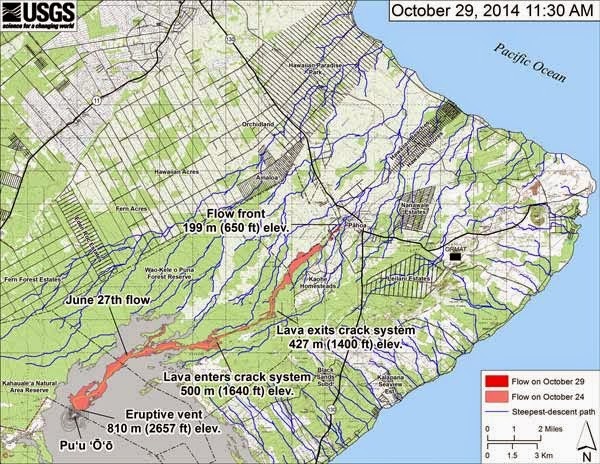 Hawaii County Civil Defense officials say the Puna lava flow is now approximately 200 yards from Pahoa Village Road. They say the flow front is moving through a private residential property in a northeast direction at a rate of approximately 5 to 10 yards per hour. Officials say the lava is now less than 100 feet from the nearest home and there are about 40 to 50 homes in the projected impact path. Scientists from the Hawaiian Volcano Observatory say they if the flow continues in this manner, they expect it to cross Pahoa Village Road between Apaa St and Post Office Road. The African Development Bank (AfDB) has approved a $12.7 million partial risk guarantee (PRG) to “ease investor risk” for the initial phase of a major geothermal project in Kenya. According to the AfDB, “this mitigation of perceived political risks will promote foreign direct investment in Kenya" and encourage private financing for power generation. The PRG is for the first 105 MW of electricity to be generated by plants operated by three independent power producers (IPPs) at Menengai, which the AfDB said aims “to exploit a portion of Kenya’s geothermal potential to provide power to about 500,000 households and 300,000 businesses”. The plants are being financed, designed, built, installed, operated and maintained on a build-own-operate basis by the IPPs. Tanzania accounts for nearly 10 per cent of the total geothermal potential found across the African continent, though the country is yet to start harvesting the ground heat energy. The Vice-President, Dr Mohamed Gharib Bilal, speaking at the 5th African Rift Geothermal Conference said that Tanzania alone has a potential of more than 5,000 MW of geothermal energy out of the 40,000 MW available within the African Rift Valley. “This calls for speeding up of our geothermal development strategies to tap this huge potential and contribute to timely attainment of our energy development targets,” the VP added. The whole of the East African Rift Valley is also said to be home to 20,000 MW of geothermal energy. Dr Bilal said the government has specific targets in the energy sector including stepping up the electricity generation capacity from the current 1,480 MW to over 2,780 MW by next year (2015). But with the proposed tapping of the 5,000 MW of geothermal power lurking beneath the earth, the country is set to meet all the energy needs within its borders and even sell surplus elsewhere. Aia La O Pele i Hawaii: There is Pele in Hawaii— Is Geothermal Appropriate for Hawaii? Interview with Alison Thompson, Chair of the Canadian Geothermal Energy Association (CanGEA), about the province’s undeveloped geothermal potential, why it has yet to be developed and other places in the World where it is a profitable resource. Geothermal energy producer Ormat Technologies said on Wednesday it was considering a corporate restructuring that would end control by parent company, Israel's Ormat Industries, through a merger of the two companies. Under the proposed transaction, Ormat Technologies would acquire Ormat Industries by issuing shares of stock in Ormat Technologies to Ormat Industries' shareholders in exchange for all of Ormat Industries shareholders' shares in the company. "If approved and consummated, the transaction would eliminate Ormat Industries' majority ownership in, and control, of Ormat Technologies," the company said in a statement. Ormat Industries currently owns about 60 percent of Ormat Technologies, which said it had established a committee to weigh the proposed transaction. The deal would also result in the delisting of Ormat Industries from the Tel Aviv Stock Exchange. Geothermal is the only industry providing revenues for community benefits. Media reports about the health study commissioned by Mayor Billy Kenoi remind us that advancing geothermal energy must go hand in hand with public safety and well-being. Objective, informed attention to health, the use of new clean technology to address known hazards and the smart development of our geothermal resources to get us off our $6 billion addiction to imported oil can, and should happen simultaneously. It is worth noting that geothermal is the only industry providing revenues that contribute to county, state and OHA coffers for community purposes such as buses, road repair and health studies. Mitsubishi Hitachi Power Systems, Ltd. (MHPS) has received a full turnkey order from Grupo Dragon through Geotérmica para el Desarrollo S.A.P.I de C.V. (GEODESA), one of its power generation companies in Mexico, to build a 25 MW geothermal power generation plant. The event represents the 13th geothermal power generation plant to be supplied by the company to Mexico. The new power plant is slated to go on-stream in 2016. MHPS received the order through Mitsubishi Hitachi Power Systems de México, S.A. de C.V. (MHPS-MEX), a business base of MHPS in Mexico. The power plant, which is Mexico's first geothermal power generation project by a private company, will be built in Domo de San Pedro, Nayarit state in midwest Mexico. In the construction project, MHPS will be responsible for engineering, manufacture, procurement and installation of major components, including the steam turbine, and balance of plant (BOP), as well as civil engineering work and commissioning. To become a student chapter – please gather all necessary forms from your university and submit them to the GRC Student Committee President, Anna Crowell, at anna.crowell@my.und.edu. All forms will be reviewed and validated by the GRC office. 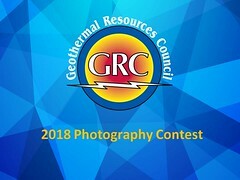 To engage students with the Geothermal Resources Council (GRC), get them involved, published, and interacting with companies that are looking for the best and the brightest. To hold fundraising activities to assist student members with travel expenses to attend the GRC Annual Meeting. To create a like-minded family of peers for sharing ideas and information. To bring about awareness of the GRC and geothermal energy research and issues. To facilitate the hosting of speakers (faculty advisors) to present on their personal research and jobs, for the benefit of the student members. Ability to publish in the annual Transactions. $5 covers Chapter Membership, GRC Membership, and Annual Meeting Registration. Webinars with speakers who are industry experts. Members and their research can be featured on the GRC student webpage. Insider access to internships, jobs, competitions and scholarships. For contact and more information on these chapters, please visit the GRC Student Webpage. 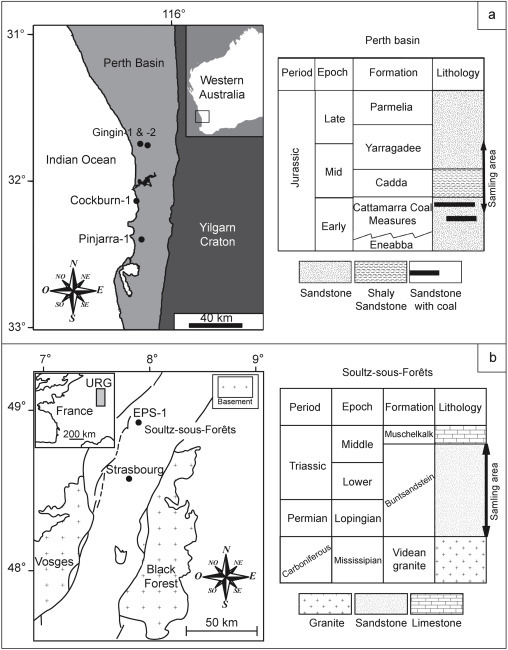 Commonwealth Scientific and Industrial Research Organisation (CSIRO) researchers have developed the first-ever model for predicting the thermal conductivity of sandstones from deep wells in geothermal reservoirs. As opposed to more complex existing models, this model's strength is that scientists only need the measurements of porosity and P-wave velocity (the speed of ultrasonic sounds for the rocks), which could be easily estimated or measured from rock samples in the laboratory. CSIRO petrophysicist and lead author Dr Lionel Esteban says measurements of temperature, thermal conductivity and water flow are required to predict the heat flow (amount of extractable heat) from geothermal reservoirs. The thermal conductivity of rocks—which controls how well they trap the generated heat—is one of the key factors required to predict heat flow, Dr Esteban says. "While the flow of water and temperature can be measured using a probe, assessing the thermal conductivity of rocks in-situ [directly in deep wells or boreholes] is currently impossible." "Models that are currently available in the market to predict thermal conductivity also require a large amount of parameters and are difficult to use in practical applications." Geothermal Development Associates (GDA) is pleased to announce that the Ulumbu 2 x 2.5 MW Geothermal Power Plant has been commissioned and is now providing base load power for the local grid. GDA designed the plant and supplied major equipment, including the steam turbine generator sets. GDA also manufactured auxiliary equipment packages to minimize installation time, including the lube oil system, turbine inlet control valve assembly, and the plant control system. The equipment and materials were shipped from GDA in 12 shipping containers during July and August of 2013. The Ulumbu geothermal field is located 13 km to the south of Ruteng, the capital of Central Manggarai Regency, Flores Island, in the East Nusa Tenggara Province of Indonesia. Emerging markets are installing renewable energy projects at almost twice the rate of developed nations, a report concluded. A study of 55 nations -- including China, Brazil, South Africa, Uruguay and Kenya -- found that they’ve installed a combined 142 gigawatts from 2008 to 2013. The 143 percent growth in renewables in those markets compares with an 84 percent rate in wealthier nations, which installed 213 megawatts, according to a report released today by Climatescope. The boom in renewables is often made for economic reasons, Ethan Zindler, a Washington-based Bloomberg New Energy Finance analyst, said in an interview. An island nation like Jamaica, where wholesale power costs about $300 a megawatt-hour, could generate electricity from solar panels for about half as much. Similarly, wind power in Nicaragua may be half as expensive as traditional energy. According to Moniz, geothermal is a steady, renewable source of energy, unlike wind and solar. by University of Nevada, Reno graduate students on Wednesday, Oct. 22. U.S. Secretary of Energy Dr. Ernest Moniz met with a group of graduate students at the Joe Crowley Student Union to review research projects in geothermal energy on Wednesday, Oct. 22. University of Nevada, Reno graduate students presented new research plans to help Nevada harness the potential of its geological research to become a leader in the production of geothermal energy. According to Moniz, geothermal is a steady, renewable source of energy, unlike wind and solar. He said that it’s called “dispatchable,” energy, meaning it is always available, while wind and solar energy can be affected by variables such as weather. 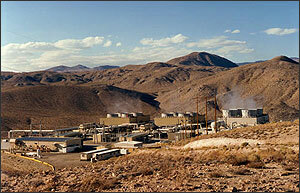 Geothermal energy also produces little to no greenhouse gases, making it a profitable resource for Nevada. At the gathering with UNR students, Moniz said that the U.S. Department of Energy has invested over $75 million in Nevada to encourage research and education around renewable energy that will lead to future job opportunities. Speaking in Arusha, Assistant Commissioner for Renewable Energy in the Ministry of Energy and Minerals, Mr Edward Ishengoma, revealed during the official opening of a two-day geothermal training that renewable energy was currently the last resort in the wake of ravages from global warming. The official said once all geothermal sources were explored Tanzania would be in a position to sell surplus power to neighboring countries. He said Tanzania had 50 identified potential areas across the country which were yet to be explored. Tanzania has the longest rift stretch in eastern Africa, 52 identified sites with a geothermal potential of 650 MW that have not been fully exploited. For many years, Tanzania relied much on hydropower as the main source of power, which proved a failure as most rivers fell prey to the impacts of climate change. Kenya has embarked on an ambitious plan to retire hydro generated power in favour of much cheaper and reliable sources of power such as geothermal. The Olkaria IV plant is the single largest geothermal facility in the world. Geothermal energy, long a poor relation among the more glamorous renewable technologies of wind and solar power, is poised to smarten its dowdy image. Piping-hot underground water and steam, percolating up through fissures in rocks fractured by seismic activity, have been a welcome feature of the European landscape since the Romans popularized bathing. On the other side of the globe, the Japanese have luxuriated since the Heian era in hot-spring onsen that dot their volcanic and quake-strewn archipelago. Even so, as a source of renewable energy, geothermal electricity has gone largely ignored as fortunes have been heaped on its rivals. There is, much to like about geothermal energy. It is reasonably clean; leaves behind little in the way of waste; does not suffer the vagaries of the weather or the inevitability of sunset; makes the tiniest of footprints on the land; and is pretty well inexhaustible. Above all, it is more or less free for the taking. Yet, lacking the political clout of wind and solar power, geothermal electricity has never received the attention it deserves. The discovery of geothermal energy directly under the property was totally coincidental and a quite literally a lucky turn for the hotel. The Peppermill Resort Spa Casino recently won the 2014 Sustainability Award for Nevada given out in Las Vegas on October 3rd. Future plans to include smart thermostats and use geothermal energy to go totally “off-the-grid” and have the Peppermill become totally self-sustaining in the next decade, no mean feat when you consider just how much juice a large high end hotel and casino uses. The two-million square foot property of the Peppermill — including the three huge pools — is heated by a 4,400 foot deep well that has already reduced the CO2 foot print of the casino to the tune of 12,000 metric tons per year. 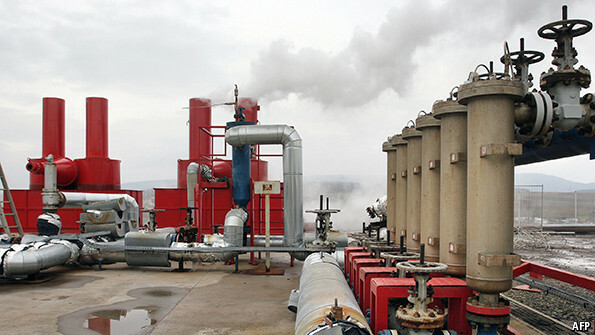 Though this cost $9.7 million USD to construct, the geothermal plant paid for itself in about five years. The 39th GRC Annual Meeting & Expo will be held September 20-23 at the Peppermill Resort Spa Casino in Reno, Nevada, USA. The Governments of Comoros, together with New Zealand and the United Nations Development Program (UNDP), has signed an agreement to gradually develop geothermal energy usage in the Indian Ocean archipelago over the next six years. The new initiative will aim to pool renewable energy directly from Mount Karthala, an active volcano which sits at the highest point of the Comoros, at 7,746 ft above sea level. Geothermal energy will complete the existing electricity grid and is expected to power households, private companies and government buildings. The move will not only decrease carbon emissions, but it will also reduce the country’s dependence on imported fossil fuels. While generating long-term savings by reducing the costs associated with diesel purchases. The exploration phase will last until May 2015. During that time, geologists, engineers, government and UN representatives will search for areas where the temperature exceeds 200 degrees Celsius. The total cost of the project is USD 65 million and the exploration will be funded by New Zealand, the African Union and UNDP. Graduate students and geothermal industry leaders met with United States Energy Secretary Ernest J. Moniz to talk about geothermal research and the geothermal industry in Nevada. At an informal forum Wednesday, Oct. 22 at the University of Nevada, Reno's Joe Crowley Student Union, they addressed the breadth and diversity of activities underway in northern Nevada in conventional hydrothermal, low temperature and innovative geothermal exploration technologies, and enhanced geothermal systems. Moniz said the Department of Energy is committed to growing cross-cutting, sub-surface fracture management, improving success rates of drilling and starting a jobs strategy council to integrate with college programs that will build workforce, through such things as enhanced graduate programs that would meet energy sector workforce needs. The U.S. Geothermal Energy Association (GEA) has published a new report on The Status of Geothermal Power in Emerging Economies (PDF). Global capacity of geothermal power is at just over 12.1 GW about half way through 2014. While growth in the U.S. might have slowed, emerging economies in East Africa, Central America, the Caribbean, and the South Pacific are some of the fastest growing geothermal nations worldwide. Together these nations are developing nearly 730 sites and another 12.1 GW of potential power. Of that 12.1 GW about 1.6 GW are under construction. The potential power under development is only a fraction of the estimated total. The Intergovernmental Panel on Climate Change estimates global potential is around 200 GWe of geothermal power, with only a fraction of that total potential tapped. With the ever growing threats caused by climate change, geothermal energy can be an emission-free and cost-effective option to produce electricity in many emerging economies. Most importantly, there are nearly 80 countries developing geothermal resources that fall adjacent to the Pacific Ring of Fire or East African Rift. In total, this market is estimated to reach nearly $9 billion by 2019. This is testimony that the Big Island Community Coalition (BICC) steering committee sent to the Hawaii PUC earlier this month. It is in support of the implementation of 50 MW of geothermal energy for Hawai‘i island. The Big Island Community Coalition supports implementing 50 MW of geothermal as soon as practicable. The high oil price case projected by the EIA 2014, predicts $150 per barrel oil by 2020. There is a direct correlation between oil usage and world GDP. A high oil price of $150 per barrel will adversely impact our tourism industry causing a severe recession. From the You Tube website of Thermal Energy Partners (TEP), a Texas-based Geothermal Energy company. EU leaders have reached a landmark deal to cut greenhouse emissions by 40% by 2030, compared with 1990 levels. The binding decision came after heated discussions at a summit in Brussels, as some members had argued that their varied interests should be protected. Correspondents say it could make the EU a leader again in climate policy. Alternative Earth Resources Inc. of Vancouver, B.C. Canada, today announced results for the year ended June 30, 2014. On August 27, 2014, the company closed a Purchase and Sale Agreement with Ormat Nevada Inc., whereby Ormat purchased the company’s Crump Geyser (50% interest) and North Valley geothermal projects. The agreement also gives Ormat an option, exercisable over a four year period, to purchase certain company leases from the New Truckhaven geothermal project. The agreement will see the company receiving up to $1.5 million in cash payments. The sum of $1.49 million was paid upon closing of the transaction, and a further $10,000 is payable if and when Ormat exercises the lease purchase option. As a result of this sale, AER’s project carrying costs are reduced to zero, while well abandonment liabilities were reduced by $0.2 million. In the next three years, Africa is expected to see an unprecedented amount of geothermal power come online. Through President Obama’s Power Africa initiative, the U.S. Overseas Private Investment Corporation (OPIC) is poised to be a key player in unlocking the potential of geothermal on the continent. During the Geothermal Resources Council’s 38th Annual Meeting in September, attendees explored how best to develop and invest in African geothermal power initiatives. 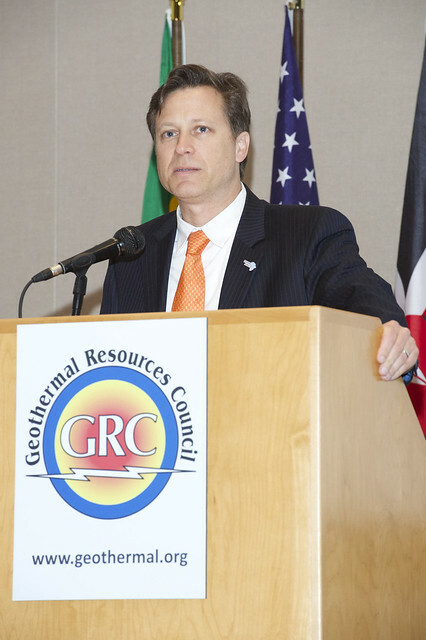 During the conference, Power Africa Coordinator Andrew Herscowitz detailed the Obama administration’s strong interest in developing geothermal power in East Africa. Representatives from Kenya’s Geothermal Development Company and the Ethiopian Electric Power Corporation discussed the opportunities in each country, including the areas within their countries rich in geothermal resources they are looking to develop. The map above allows you to learn a lot about the status of geothermal power across our country. Here we can see that areas with high heat flow potential are also areas with many operating and developing power plants. Clicking on the clusters of points will allow you to zoom into an area and see how the plants are distributed. Clicking “About the Points” and “About the Data” can give you more information on various stages of exploration and development. Learn more about how heat flow is calculated here. U.S. Geothermal Inc., provided an update on the results of its three operating projects for the third quarter of 2014, and the status of development activities. Recent developments in the market are encouraging to the growth of renewable energy, and more specifically to geothermal energy in our opinion. In California, the signing into law of AB-2363 earlier this month by the California Governor, will require the California Public Utilities Commission to establish the appropriate adders (integration cost) for each technology that must be used when evaluating bids for long term wholesale power contracts. We believe this change will add appropriate costs to wind and solar power generation due to their intermittent deliveries of power, which then should allow base load renewables like Geothermal and Biomass to compete for PPAs based on a more accurate comparison of the full cost for power. That has not been the case in the past. Similarly, in the State of Nevada, in 2013 the legislature mandated that the utilities in the state must purchase 300 megawatts of renewable energy from independent power producers to replace coal generation that is going to be retired. In response, NV Energy has issued their first of 3 Requests for Proposal for 100 MW of renewable energy. This creates a solid market of 100 MW per year for the next three years, which provides our company with a potential path for selling power from both our existing and new projects. In addition, there are a number of pending bills, both at the federal and state level that could have a favorable impact on future geothermal development. At the federal level, Senate Bill S-2260 would extend the current tax credits available to new geothermal plants for an additional 2 years. Under the proposed bill, plants that begin construction by December 31, 2015 would be eligible for a 30% Investment Tax Credit (“ITC”), or alternatively a 10 year Production Tax Credit (“PTC”). S-2260 has been approved by the Senate, and is now at a conference committee to be merged with a companion House tax extenders bill. Solar energy now receives the most amount of energy funding annually, surpassing fossil fuels at just under €15bn, reveals a recent report released by the European Union (EU). The initial findings in the report, Subsidies and costs of EU energies, indicate solar is considerably more popular in comparison with its other renewable energy counterparts and the established fossil fuel sources. The highest level of support is given to solar, approximately equal to the 2012 levelized costs of solar utility scale PV (which has lower costs than roof top PV per unit of output). Production support in 2012 includes support still being paid on systems installed in previous years when the costs, and consequently the support was at much higher levels. Even in 2008, costs were around twice the costs in 2012. Startup power utility Sonoma Clean Power on Tuesday reported two long-term contracts for geothermal and solar power. The geothermal contract is for 10 years of power from Calpine’s Geysers facilities in northeastern Sonoma County. The deal provides steadily rising volumes reaching 50 megawatts in 2018. By then the total energy coming from that source will amount to 23 percent of Sonoma Clean Power’s mix. Sonoma Clean Power said it met its early renewable-energy goals by buying short-term contracts. The new deals bring the agency’s long-term contracted renewable sources in California to more than 33 percent of its total output, which exceed California’s 2020 goals for utilities. The Mineral Resource Authority (MRA) has confirmed that their study and sample extraction of three geothermal sites in Talasea in West New Britain Province is nearing completion. Talasea LLG President Victor Narere said MRA had made it known that the final testing would be at the end of this year or early next year depending on the results. “The final testing of the geothermal sites would include the drilling and placing of pipes into the geothermal reservoir to measure the quantity and pressure to conclude whether they could power the whole of the country with electricity,” says Narere. He said so far, the previous testing results had positive feedback from a New Zealand laboratory and MRA hopes final testing would be the same. The Board of Directors of the African Development Bank (AfDB) has approved an USD 12.7 million African Development Fund partial risk guarantee (ADF PRG) for the 105 MW Menengai Independent Power Producers project. The Menengai project will provide power to about 500,000 households and 300,000 businesses. 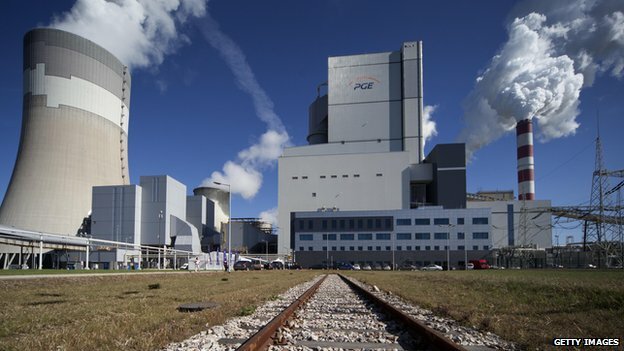 The ADF PRG will mitigate the risk to independent power producers (IPPs) – and the providers of debt financing to IPPs – of non-payment by state-owned enterprise Kenya Power and Lighting Company Limited under the Power Purchase Agreement (KPLC) and non-supply of steam by state-owned enterprise, Geothermal Development Company (GDC) under the Project Implementation and Steam and Supply and Agreement. The Menengai geothermal steam field development project involves the supply of steam by the GDC to three power plants at the Menengai Geothermal field, as well as the purchase by KPLC of the power generated by those plants. The plants are to be financed, designed, constructed, installed, operated and maintained on a build-own-operate basis by three independent power producers – Sosian Menengai Geothermal Power Limited, QPEA GT Menengai Limited and OR Power Twenty-Two Limited. 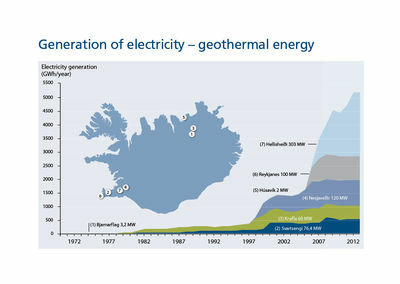 Question: Does Iceland run 100 percent on geothermal energy? If not, are there any plans to convert the entire energy system of the island to 100 percent renewable energy with no emissions of poisonous substances? What does the population think about this? Alexander, Italy. Answer: According to the report 2013 Energy Statistics in Iceland from the National Energy Authority, geothermal energy was used to produce 29 percent of Iceland’s electricity in 2013 compared to 71 percent by hydropower. Around 90 percent of space heating is produced by geothermal energy. The SulFix sequestration project aims to develop a method to lower hydrogen sulfide (H2S) emissions from high temperature power plants that has lower operation costs and is more environmentally friendly than current H2S cleaning methods. CarbFix, on the other hand, is among the projects being carried out to develop an industrial solution for mineral sequestration of carbon dioxide (CO2) in basalt. The project consists of, among other methods, field injection of CO2 charged water at the Hellisheiði power plant in Southwest Iceland. China Petrochemical Corporation (Sinopec Group) the nation's second-largest oil and gas producer, is seeking to commercialize geothermal energy after spending about 1 billion yuan (HK$1.26 billion) in the past few years to develop more than 10 pilot projects on the mainland. Zhou Zongying, a researcher at Sinopec Star Petroleum - China Petrochemical's geothermal energy development arm - said the renewable energy had good potential to partially replace coal-fired heat and electricity generation in big cities. "So far, geothermal energy's development has been limited by the high initial investment required, but as more local governments are imposing restrictions on coal-fired heat and power generation, geothermal energy will have more room for development," Zhou said at the sidelines of the China Mining conference. Renewables are the cornerstones and the foundation of a truly sustainable energy future. Our mission is to promote enabling policies and to further develop a broad range of renewable energy technologies and applications in all sectors – for heating and cooling, agricultural applications, water desalination, industrial applications and for the transport sectors leading to a better, cleaner and safer world. The U.S. Department of Energy's Geothermal Technologies Office (GTO) provides an update on Frontier Observatory for Research in Geothermal Energy (FORGE) news and developments. Expected Date for Selection Notifications – 3/3/2015. For more information on the application requirements and to view to the modified FOA document, please visit the Office of Energy Efficiency and Renewable Energy's (EERE) Funding Opportunity Exchange website. could provide a source of geothermal energy. As Michigan’s Upper Peninsula grapples with a looming electricity crisis, the region’s copper-mining past could play a role in its energy future. “Mineshaft geothermal” is gaining attention here as researchers investigate the energy potential stored hundreds of feet below the ground. The water in these abandoned and flooded mines, which expand throughout the U.P., is just now starting to be used to heat and cool buildings. “Wherever anyone has a mineshaft and access to it, the potential is there,” said Jay Meldrum, director of the Keweenaw Research Center at Michigan Technical University in Houghton. Meldrum and his team are investigating the potential of more than 30 mineshafts in the historic village of Calumet, population around 700. Davao City Council is bent on setting up more power plants in the city after it approved on second reading on Tuesday a resolution endorsing the request of AboitizPower Corp. to conduct exploratory activities for geothermal resources. Davao City is the third local government unit that approved the Aboitiz's request for exploration. Councilor Louie John Bonguyan, City Council committee chair for energy, said the council approved the request for exploration phase to support the establishment of more power plants in the city to fully meet its demand for energy in coming years. He said the city is quite fortunate "because power companies enter the city and suggest means of supplying power." The share of electricity generated from geothermal sources in Kenya has for the first time surpassed that of hydro power, pointing to lower electricity bills from reduced reliance on costly thermal power. Data from the Kenyan Energy Regulatory Commission (ERC) indicates that geothermal power accounted for 38.85 per cent of the 754.8 million units of electricity bought by homes and businesses in September while hydro power accounted for 36.7 per cent. Thermal power accounted for 22.2 per cent. The decline follows the injection of 210 MW of geothermal power into the national grid, with 140 MW having been added in late July and 70 MW on September 16. By the end of this year, KenGen will have added 280 MW in geothermal capacity, helping cut power bills that businesses say make Kenyan industries uncompetitive. The objective of the GGDP Roundtable 2 is to provide a platform for donors, multilateral financing institutions, government officials, and practitioners to exchange experiences and lessons on geothermal resource risk mitigation schemes. The second day of the roundtable will be dedicated to the Geothermal Development Dialogue, the first in a series of targeted workshops hosted by the CIF and CPI that will take place over the next year, aimed at bringing together major actors in financing geothermal development to enable a global sharing of experiences and to explore emerging lessons in the quest to scale up effective geothermal finance. A group of South Korean students visited a Cornish academy last week as part of an international program. Camborne Science and International Academy (CSIA) hosted guests from The Korea Science Academy of KAIST, based in Busan, who stayed with local families for 10 days. 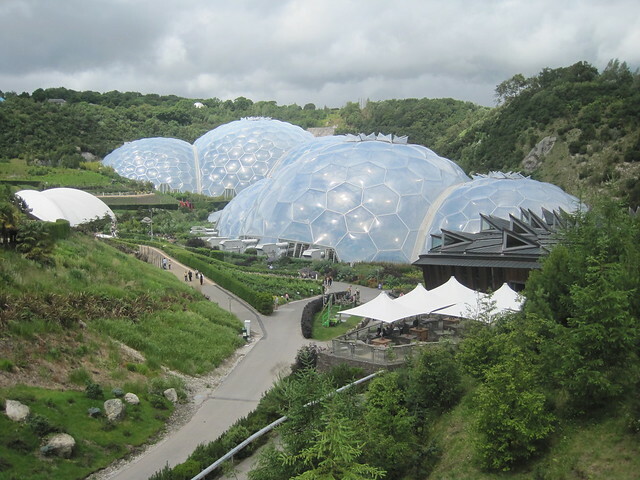 They participated in various cultural and scientific activities, including Cornwall’s underground geothermal properties on a trip to the famous Rosemanowes quarry. The theme of ARGeo-C5 is “Geothermal: Solution to Africa Energy needs”. The main objective of this conference is to promote regional cooperation, create an information exchange platform on exploration, development, investment and utilization of the geothermal resources ion the region and elsewhere in the world. This international conference will bring together policy makers, technical experts as well as developers and financiers of international and regional delegates. to effectively develop, construct, and operate successful geothermal power plants. New Zealand is a world leader in geothermal energy technology which has significant potential for the country’s energy supply, says GRC Member Professor Rosalind Archer who will lead tonight’s third lecture in the University of Auckland’s Vice-Chancellor’s Lecture Series for 2014. 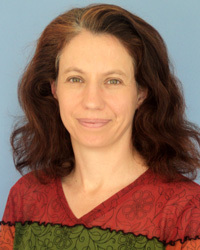 Professor Archer is Director of the Geothermal Institute and the Head of the University’s Department of Engineering Science. She holds the Mighty River Power Chair in Geothermal Reservoir Engineering at the University. The consistent nature of the geothermal energy production process helps facilitate the use of other renewables in the national grid, she says. "We are unlikely to build more large hydro stations. Geothermal has the lowest cost per unit of electricity generation capacity so it’s an attractive technology for future generation. Raya Group Ltd formerly Panax Geothermal Ltd, holds some of the most prospective geothermal sites available in Australia and Indonesia. Whilst the Geothermal sector has been extremely challenging, Raya has been active with Indonesian joint venture partner Bakrie Power. Activity in the Indonesian Geothermal sector has increased, and the company continues to discuss opportunities with various EPC Groups and Funding parties showing renewed interest in our Indonesian Geothermal projects. Raya surrendered its geothermal exploration licenses (GEL) held in the Cooper Basin at the start of the year which further removed an $8m work commitment from its accounts. Restoration and general cleanup was spent on the Salamander-1 well site in February this year which has left the site in good standing order. The site remains on care and maintenance until further interest is revived in the geothermal sector. which will soon be under construction. Developers of what’s officially being called the Iron Mountain Hot Springs at Glenwood Caverns Adventure Park in central Colorado, are wasting little time getting into the ground and starting construction, in hopes of having the new geothermal hot springs along the Colorado River open by May. The commissioning of the 140 MW geothermal plant in Olkaria IV is a milestone in our country’s journey to self-sufficiency, competitiveness and prosperity. It gives the Government’s transformative agenda and the Kenya Vision 2030 a much-needed boost. Our developmental momentum is now unstoppable. The Ministry of Energy, the Kenya Electricity Generating Company, KenGen and financiers have done a good job. The impact of this project on our lives and Kenya’s development is transformative. KenGen devised a pioneering geothermal technology, which has enabled Kenya to harness wells instantly upon drilling, saving us the five years it usually takes to build a traditional power plant. The mobile wellhead unit is an innovation that has revolutionized power generation. As a result, Kenya has made history by delivering the largest single geothermal project in the world. These serial firsts are the kind of examples we require of our organisations. The ministry and KenGen have the leadership that will enable us to steward our development. 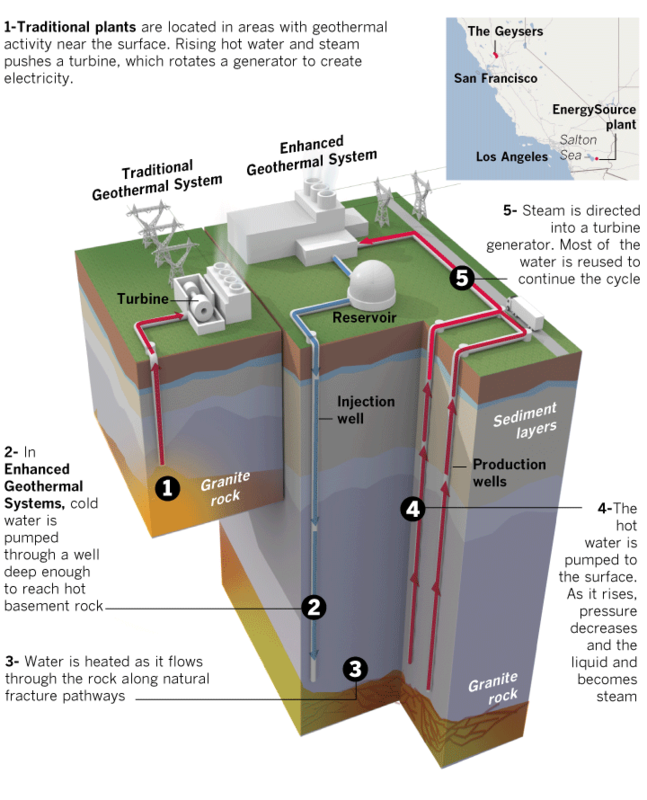 Geothermal power was once king of California's renewable energy. So many companies were clamoring to transform steam into electricity that they sucked the world's largest geyser field dry. But the industry's shortsightedness — and its slowness to innovate — left geothermal floundering for three decades in the shadows of the solar and wind energy juggernauts. Now, industry leaders say the energy harnessed from the Earth is poised for a renaissance, powered by new technology that will boost production, pare costs and expand its reach. "We had been in a gradual decline, but we've turned the corner," said Doug Hollett, director of the federal Energy Department's Geothermal Technologies Office. "The growth curve for geothermal is extremely exciting." Some impetus for the change has come from within. The geothermal industry's not-so-politically-savvy leaders, mostly geologists and mechanical engineers, had since the 1980s been eclipsed by hard-charging solar and wind energy developers who play the lobbying game, and play it well. Geothermal's leaders watched and learned. Their challenge now, they say, is regaining some of the lost political and financial ground. Pro-Environment financing companies have expressed their intention to invest in the $185-million geothermal facility of local renewable-energy firm Emerging Power Inc. (EPI) in Oriental Mindoro following President Aquino’s call for more investments in the RE sector to address the country’s power shortage. EPI Chairman Martin Antonio G. Zamora said Mekong Brahmaputra Clean Development Fund (MBCDF), under management of the Dragon Capital Group, and the Netherlands Development Finance Co. (FMO) are advocates of sustainable-development projects. He said 30 percent of the total investment would be direct equity and 70- percent debt financing sourced from Philippine banks. In line with this, Dragon Capital’s MBCDF and FMO are looking to invest around 15 percent in equity. The POWER Sector Assets and Liabilities Management Corp. (PSALM) is eyeing the turnover of the Mt. Apo geothermal power plants’ contracted capacities within this month, the firm’s top official said. The state-run power firm is currently completing the post-qualification evaluation of the bids for the contract. Last month, Gotianun-led FDC Misamis Corp. was named as the top bidder during the auction for the deal with its P128-million offer. FDC Misamis is a subsidiary of FDC Utilities, Inc., which in turn is the utilities arm of the listed conglomerate Filinvest Development Corp. The top bidder bested its only competitor, SMC Global Power Holdings Corp., which submitted a P50-million bid. While both companies passed the technical and financial requirements, Mr. Ledesma said only FDC Misamis met the reserve price set by PSALM Board. The winning bidder for the auction will be in charge of selling the capacity generated by the Mt. Apo power plants under two separate IPP contracts. Each of the power plants has a capacity of 54.24 megawatts.